Guide to navigating the Islamic Manuscripts Collection held at the University of Michigan Library. 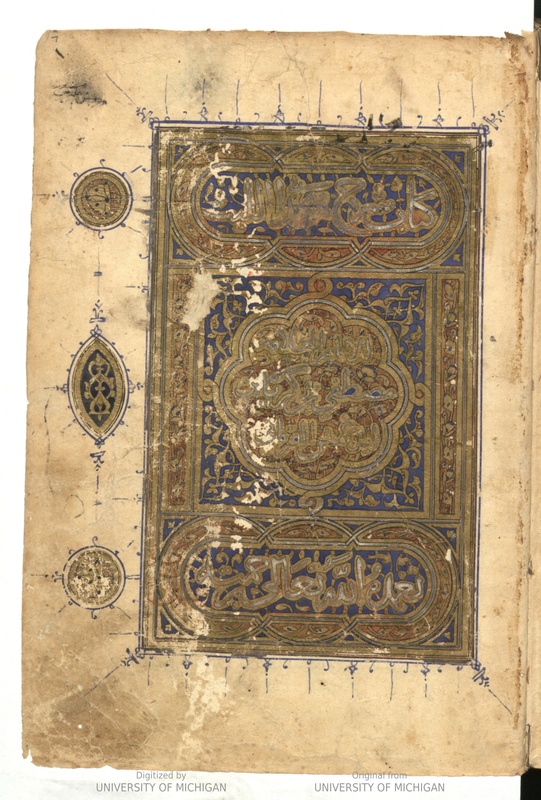 This guide offers an introduction to the Islamic Manuscripts Collection at the University of Michigan. In addition to details on the collection history, size, and scope, you will find strategies for locating manuscripts of interest, instructions for viewing manuscripts in the Library, and advice on locating, viewing and downloading digitized manuscripts. Feel free to be in touch with any questions or requests for research assistance. Titlepiece in Isl. Ms. 529, a 15th century copy of the commentary by Muṣṭafá ibn Zakarīyā ibn Aydughmish al-Qaramānī (d.1406) on al-Muqaddimah fī al-ṣalāh, a work on jurisprudential issues pertaining to canonical prayer (ṣalāh) by Abū al-Layth al-Samarqandī (d.993). Full catalogue description available here. 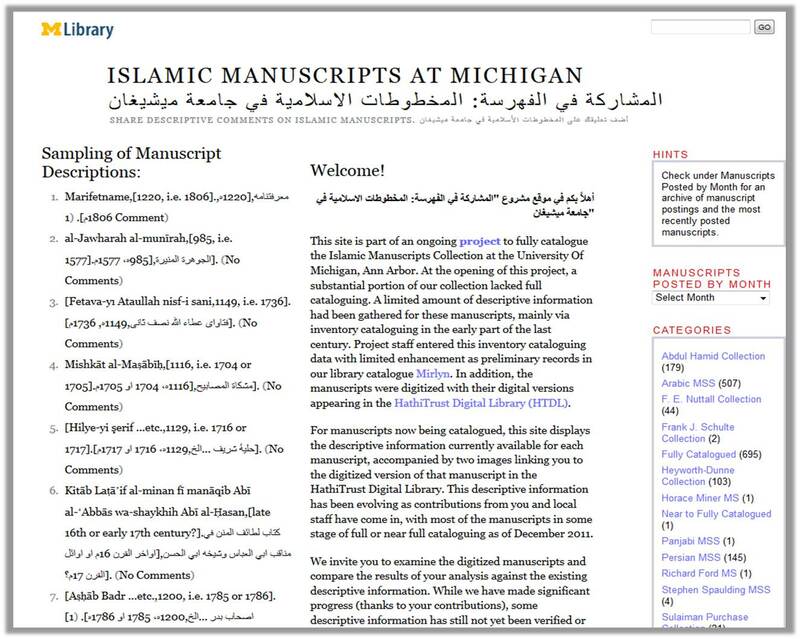 This guide is an outcome of the "Collaboration in Cataloging: Islamic Manuscripts at Michigan" project during which full cataloging for the entire Islamic Manuscripts Collection was completed.